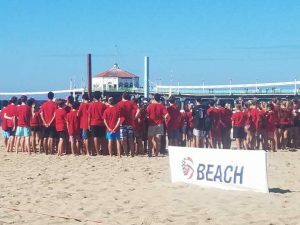 This past weekend was a very exciting weekend in our family as my son Thor competed in his first USA Beach Volleyball Tryouts. I heard about the tryouts a month and a half ago and that players were being accepted into the program from as young an age as 10 for their U13 program. This started the ball rolling for me and my son Thor. 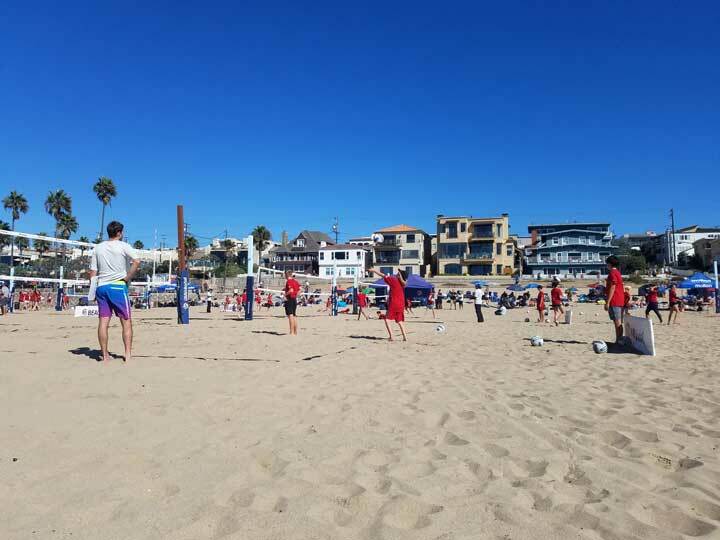 As a result, I started coaching Thor and a few other elementary school kids close to Thor’s age twice a week at Playa Del Rey beach to help get Thor ready for the impending USA Volleyball tryouts! By the way, Thor is in 4th grade and just turned 10 a little over two months ago, September 2nd. I have been playing volleyball with him since he was age 5 in our front yard and running some fun volleyball classes at his school, but never in a serious competitive manor until now. In watching the tryouts over the weekend as a coach and going through the tryouts as a parent, I had many powerful insights I wanted to share with you here now! Firstly, I want to share how well run and organized the USA Beach Volleyball event was. I consider myself an expert in having run Volleyball1on1 Summer Camps for many years and I personally was very impressed by the level of organization and communication. Half-jokingly, I think this is because of the two women running the show at the top. The times I see this kind of organization and preparedness in my own life is when my wife is running things! I always say in business, success is because of management. The ladies running this are on top of things! I was really impressed by the level of coaching at this event. Top coaches like Anjino Bacil, Corey Glave, Marcio Sicoli, Kevin Wong, Patty Dodd, John Meyer and more were in attendance and running courts in person. Most impressive was not their attendance, but rather the excitement and energy they brought to the courts and their coaching. Too often I hear and see parents invest hundreds of dollars in expensive college camps, only to have a bunch of inexperienced college players, running a low energy, curriculum weak camp where often the head coach is a no show. Yes, it’s true! This happens all the time! This camp was expensive, and in fact – there was good value provided. I was very impressed by the coach’s effort to really build relationships with the players. I want to thank some of my buddies including Kevin Wong, Anjino Bacil, Corey Glave, John Meyer, Miles Evans, Betsi Flint and Troy Field for taking the time to get to know my son Thor and engage with him! Kevin Wong I want to thank you most for your efforts at the end of the camp whereby Sunday late afternoon you walked across the street and made great effort to connect with Thor! 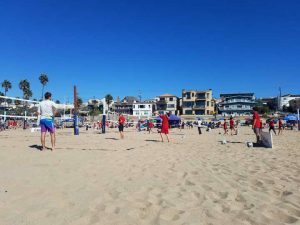 The “game teaches the game” vs. “controlled repetition and learned auto response” is a major difference between USA Beach Volleyball coaching and USA Indoor Volleyball Coaching. As a style I feel most of the impact of “the game teaches the games,” comes from Karl McGown impact on indoor coaching in this country. His believers and advocates are across many levels of indoor volleyball and press science as the reason for this philosophy. 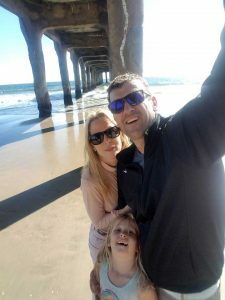 By comparison USA Beach Volleyball is full of Brazilian coaches and their style of coaching permeates USA Beach Volleyball Coaching more than any other. Marcio Sicoli as seen by the AVCA 2018 Convention Beach Volleyball Coaching Agenda at the top of this list and his style is anything but the game teaches the game. How this looked on the court in the Beach Volleyball Camp this past weekend was far more organized controlled reps to players where balls were often entered by coaches. Skills were more broken down with multiple progressions leading to the final implementation in a game like environment. I know I will get some judgement for this, but the social economics of volleyball players and parents include some of the richest and most successful of any sport. I got to meet many parents at the tryouts and as a former hi-level business consultant I was impressed by who these parents were as quality solid people and how they are choosing to bring up their kids. I have always wanted my kids to hang out with other good kids. I always felt volleyball offered this. My ideas on this were reinforced this past weekend. Thor was the youngest in the group by two years or more. There were only 5 or 6 kids in the U13 boys and then U15 boys made up the rest of the group. Do I think he will make it into USA Volleyball this year? Probably not! But with so much time before he is of a similar age and physical ability I have little doubt he would crush these kids when he gets older. Time and coaching will tell! No pressure Dad! ? Throughout the camp the most powerful thing was the incredible seeds that were laid for Thor’s Self-ideal. These seeds I think over time will take shape and develop into powerful things that will hopefully impact volleyball one day as he dominates as a player and brings the hammer! ? Over the course of the weekend because of the environment USA Beach Volleyball created there was an opportunity for Thor’s self-concept / self-esteem to develop as he learned how to serve and at moments was able to compete against kids much older and better than him. This journey for Thor as a young volleyball player and person is powerful and one of the reasons I find it valuable to invest in camps like this. There was at least twice on Saturday and twice on Sunday where I had to walk away. I could not handle watching my kid fumble through the drills without the need of wanting to tell him how to do it. As a parent it’s important to learn to, “just walk away!”. From what I understand the next tryouts are in May 2018. I have started training Thor moving into this new week and a young crew of players to hopefully turn them into the next pipeline of eventual Olympic athletes. 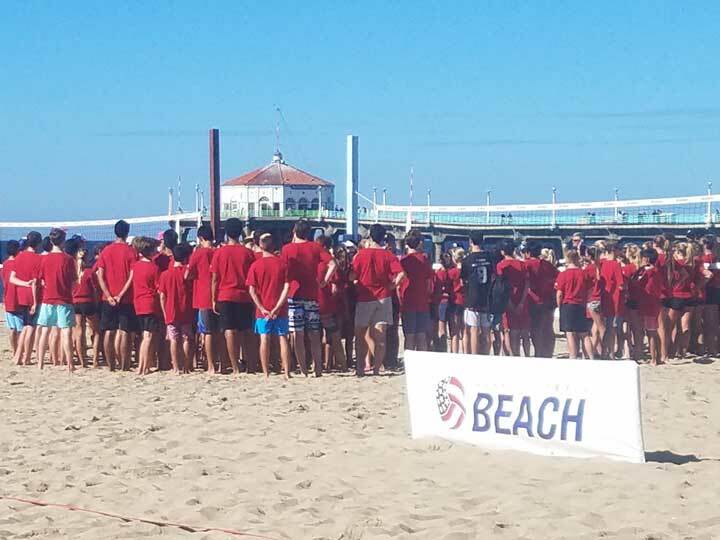 Having attended the USA Beach Volleyball Tryouts / Camp many powerful seeds have been laid to help encourage hard work and focus by these young players. I very much look forward to growing these seeds now into something special and developing some eventual Olympic Stars! I’ll keep you posted. 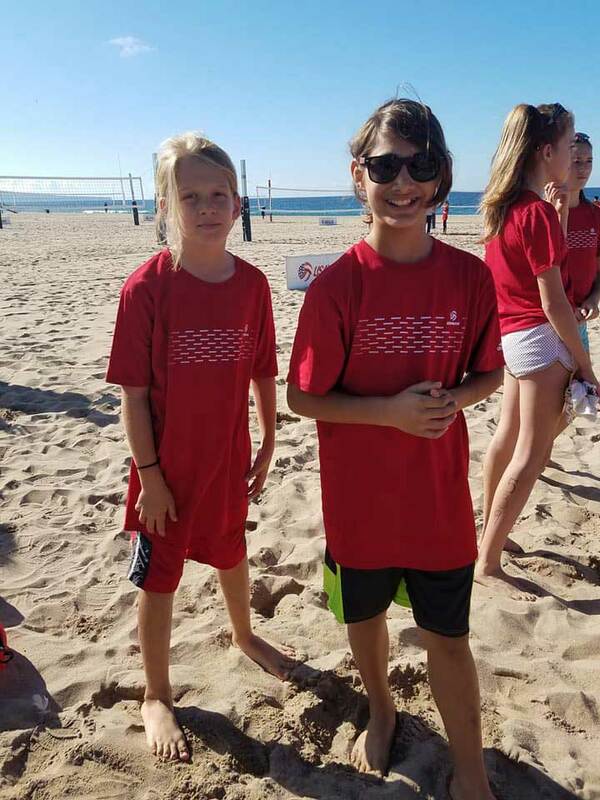 Contact me if your kids are interested in joining our Playa Del Rey, Los Angeles, California 2x Weekly Beach clinics after school! PreviousPrevious post:It’s Time to Hit the Gym For Your Eyes – Volleyball Vision TrainingNextNext post:Are You a Players Last Coach? 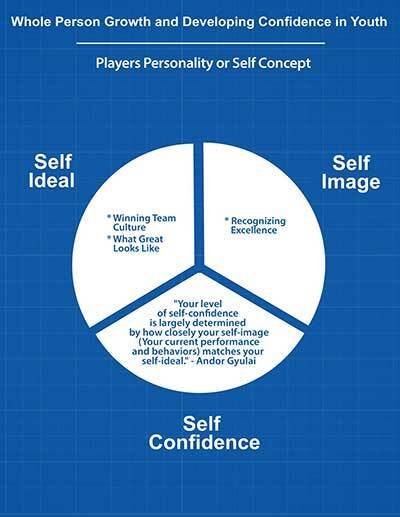 Why Authoritarian Figure Coaching Style Fails!